Welcome to our Home Owner Information page. This page will give you some great information and links to outside sources to help you tackle those jobs we all encounter around the house. This site will allow to check up on contractors to see if they have any violations and are under investigation for any wrong doing. This is a great resource if you are having trouble with a contractor or need help about a problem you are having with a contractor. This is a great site for the do-it- yourself home owner who wants a little guidance and help with planning a project. This is the main site for services and information relating to residents in the city of Carefree. This is the main site for services and information relating to the residents in the city of Cave Creek. This is the main site for services and information relating to the residents in the city of Prescott. This is the main site for services and information for the residents of the town of Prescott Valley. This is the main site for services and information relating to the residents of the City of Peoria. This is the main site for services and information relating to the residents of Scottsdale. All sorts of electric info on panel safety, great site. Information on tackeling projects around your home. Information form the major natural gas provider in the phoenix metro area. Great advice for the home owner for anything related to plumbing around the house. Lots of information on mold in your home. Tons of information on home loans, grants, community housing info. Information of Real estate agents, housing info in phoenix, sales numbers ect. This is a great site to learn about Polybutylene piping in your home. 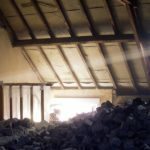 Want to know about Asbestos? You can learn almost anything about asbestos here at this site. What is Pex Water Lines? This site will tell you everything you ever wanted to know about Pex. Great site.